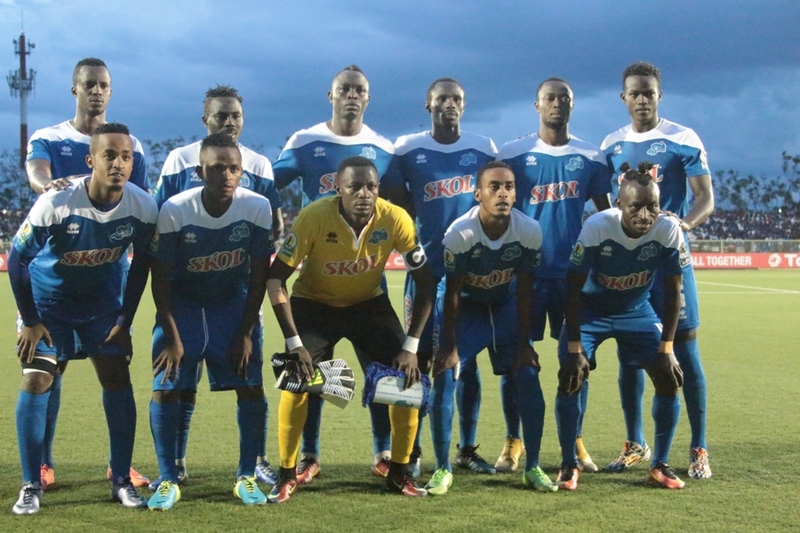 Rwandan league champions Rayon Sports Fc takes on Tanzanian giants Young Africans with a mission of claiming their first win in Group D of the CAF Confederations Cup in Dar es Salaam on Wednesday night. Rayon Sports Fc and Young Africans face each other on Wednesday at 18h00 at the 60,000-seater Tanzania National Stadium. The Rwandan heavyweights opened their group stage campaign with a solid 1-1 draw against Kenya’s Gor Mahia earlier in the month. Rayon Sport fought back from a goal down, with Rutanga Eric’s equaliser midway through the second half cancelling out Kagere Meddie’s opener for the hosts. The Tanzanian champions are winless in their last seven matches and suffered an away 4-0 mauling at the hands of Group D leaders USM Alger of Algeria. Yanga, having surrendered their Tanzanian league title to rivals Simba, have lately been battling a series of challenges, including poor results on the pitch and a player protest over unpaid dues. Rwandan league champions Rayon Sports Fc arrived in Tanzanian capital Dar es Salaam early on Tuesday morning ahead of Wednesday’ssecond Group D game in CAF Confederation Cup. The Blues head into Wednesday’s crucial tie without key central defender Faustin Usengimana who is suspended following two accumulative two yellow cards from the past two games, one against Costa do Sol in the play-offs and another against Gor Mahia on May 6. With the absence of former APR defender, Minnaert hopes one of the centre-backs Ange Mutsinzi, Thierry Manzi and Gabriel Mugabo will cover the gap. However, Belgian coach Minnaert is welcoming midfielder Djabel Manishimwe after he missed the club’s last four games with a knee injury but will still miss the services of upcoming midfielder Olivier ‘Sefu’ Niyonzima due to a heel injury. Meanwhile, USM Alger who are facing Gor Mahia on Wednesday at Kasarani stadium in Kenya tops Group D with maximum three points; Gor Mahia and Rayon Sports are on joint with one point while Young Africans are pointless bottom of the standings. Forwards: Bonfils Caleb Bimenyimana, Hussein Tchabalala Shaban, Ismaila Diarra and Djabel Manishimwe.